In studies conducted by a variety of research entities, people with age-related hearing loss also are more likely to have cognitive problems. Researchers wanted to know if the conditions could be related, and it appears they are. The upside to this bad news is that people who wear hearing aids to bring their hearing near normal ranges might see another big benefit: reduced chances of losing cognitive power. 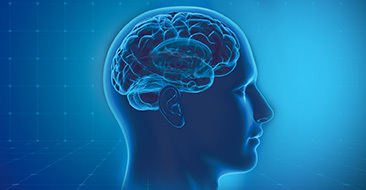 Experts now believe hearing plays a large role in keeping the brain healthy. Some of the therapies for brain health are games and puzzles that people play regularly. Sound is funneled into the ear through the eardrum and into the middle ear, then into the inner ear. There the sound is transformed into electric impulses by the cochlea. This process allows the brain to interpret sound. All perception of the senses must become electrical pulses to be interpreted; malfunctions mean the brain interprets incorrectly or not at all. 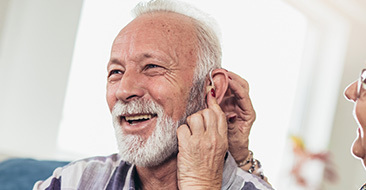 Problems from illness, accidents or aging can impact our hearing capability. 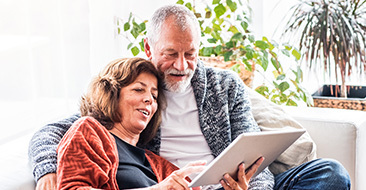 Aging is the main reason we hear conversation but can’t make out the words – the top complaint about gradual hearing loss. The ear system is tiny but surprisingly strong. It usually heals form disease and injury. It can’t heal from aging. The brain thrives on this type of exercise, but also builds its ability to tackle new, unknown information and act appropriately. Brain games using the eyes have been used for many years. The idea is to keep the brain sharp, reacting quickly and in some cases challenge the short-term memory. “Flexing” the brain muscle is a great activity for overall health. The ability to hear better and react quickly probably plays a big part in this mental health schema. Two studies by scientists reportedly followed hundreds of people who were mentally sharp when the study began. Many were hard of hearing to varying degrees. The studies found that people with severe hearing difficulty were 24 percent more likely to experience dementia or other cognitive issues. We advocate for your hearing health every day. Better hearing starts with comprehensive advice and testing to get to the bottom of any hearing problems. Should you need a hearing aid, please remember that Mountain Ear Hearing Associates offers a thirty-day trial period for hearing devices.